Posted on August 30, 2016 Author KibetCategories Free Travel Kindle BooksLeave a comment on Kindle Travel Deals for Tuesday! Posted on August 29, 2016 Author KibetCategories Free Travel Kindle Books, TravelersLeave a comment on Kindle Travel Deals for Monday! Argentina Travel Guide: The Top 10 Highlights in Argentina (Globetrotter Guide Books) by Marc Cook. Price: Free. Genre: South America, General, Tourist Destinations & Museums, Travel, Argentina. Rated: 4.4 stars on 5 Reviews. 25 pages. ASIN: B016YP9R7Q. *Thailand – a country of smiles: My instagram photravel_ru by Andrey Vlasov, Vera Krivenkova, Thanakorn Pannoi, Daria Labonina. Price: Free. Genre: Southeast, General. Rated: 5 stars on 10 Reviews. 160 pages. ASIN: B01KQ7HWR0. Posted on August 27, 2016 Author KibetCategories Free Travel Kindle Books, TravelersLeave a comment on Kindle Travel Deals for Saturday! ROMANIA EXPLAINED TO MY FRIENDS ABROAD: TAKE AWAY ROMANIA by Catalin Gruia. Price: Free. Genre: Romania, Travel, Eastern, Russia & Former Soviet Republics. Rated: 4.3 stars on 8 Reviews. 268 pages. ASIN: B01K8EFUDE. Posted on August 24, 2016 Author KibetCategories Free Travel Kindle Books, TravelersLeave a comment on Kindle Travel Deals for Wednesday! PARIS: The Ultimate Travel Guide With Essential Tips And Over 10 Places You Must Visit (France, Tourism, Travel To Paris) by Estienne Petit. Price: Free. Genre: Western Europe, General, Paris, Travel, France. Rated: 4.4 stars on 8 Reviews. 65 pages. ASIN: B01KQOCUY8. LONDON: The Ultimate Travel Guide With Essential Tips About What To See, Where To Go, Eat And Sleep (London Travel Guide, London Guide, London Traveling Guide) by Emily Taylor. Price: Free. Genre: London, Commercial, General, Travel, England. Rated: 4.2 stars on 9 Reviews. 86 pages. ASIN: B01KR6Q88Y. Posted on August 23, 2016 Author KibetCategories business, Free Travel Kindle Books, TravelersLeave a comment on Kindle Travel Deals for Tuesday! *The Two Yosemites: A Travelogue by Jeri Walker. Price: Free. Genre: Memoirs, Travelers & Explorers, Travel Writing, Biographies & Memoirs, Travel. Rated: 4.4 stars on 11 Reviews. 25 pages. ASIN: B01JOBGTNW. The Traveler’s Education: How to Leverage Travel to Create Your Personal Philosophy, Develop the Needed Skills for the 21st Century and Achieve Your Dreams by Neil Patel. Price: Free. Genre: Motivational, Travel Writing, Self-Help, Travel. Rated: 4.8 stars on 8 Reviews. 88 pages. ASIN: B01E4JORJ2. Posted on August 22, 2016 Author KibetCategories Biographies, Free Travel Kindle Books, memoir, TravelersLeave a comment on Kindle Travel Deals for Monday! Behind the Wall: PART 1 by Dame DJ. Price: Free. Genre: Teen & Young Adult, United States, Regions, Travel, Sports, Romance. Rated: 4.3 stars on 6 Reviews. 67 pages. ASIN: B015UBJHWK. South Africa: The Best Of South Africa Travel Guide by Gary Jones. Price: Free. Genre: Africa, General, Budget Travel, Republic of South Africa, Bed & Breakfasts, Bed & Breakfast. Rated: 4.1 stars on 8 Reviews. 140 pages. ASIN: B01AAMJV4I. Posted on August 21, 2016 Author KibetCategories Free Travel Kindle Books, TravelersLeave a comment on Kindle Travel Deals for Sunday! 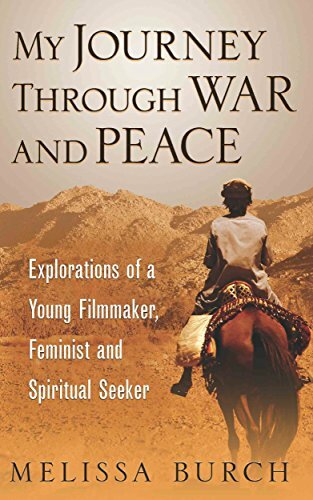 **My Journey Through War and Peace: Explorations of a Young Filmmaker, Feminist and Spiritual Seeker (The Heroine’s Journey Book 1) by Melissa Burch. Price: Free. Genre: Nonfiction, Sponsor, Memoirs, Travel, Adventurers & Explorers. Rated: 4.6 stars on 48 Reviews. 208 pages. ASIN: B01GSIQ9UW. 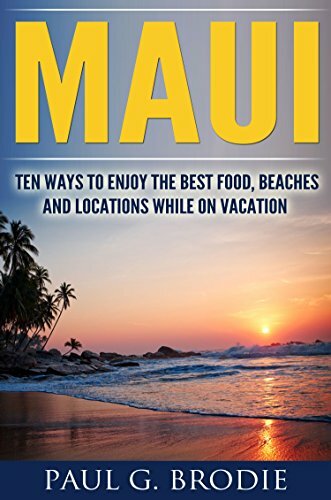 *Maui: Ten Ways to Enjoy the Best Food, Beaches and Locations While on Vacation (Paul G. Brodie Travel Series Book 1) by Paul Brodie. Price: Free. Genre: Nonfiction Book, Sponsor, Maui Guide, Travel & Vacation, Places to Visit, Where to Eat. Rated: 5 stars on 5 Reviews. 79 pages. ASIN: B01K58R4PU. Brussels Travel Guide: The Top 10 Highlights in Brussels (Globetrotter Guide Books) by Marc Cook. Price: Free. Genre: Brussels, General, Tourist Destinations & Museums, Travel, Europe, Belgium, Netherlands & Luxembourg. Rated: 4 stars on 5 Reviews. 24 pages. ASIN: B011A7DSN2. Posted on August 18, 2016 Author KibetCategories Free Travel Kindle Books, memoir, TravelersLeave a comment on Kindle Travel Deals for Friday! 5 Inspirational Travel Books for Wednesday! This travel guide is well worth it! You can’t go wrong! 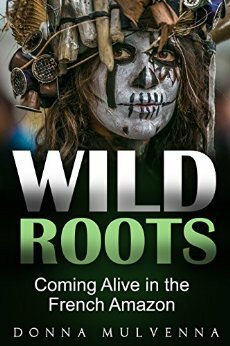 *WILD ROOTS: Coming Alive in the French Amazon by Donna Mulvenna. Price: Free. Genre: Nonfiction, Sponsor, South America, Amazon Rainforests, Ecology, Nature. Rated: 4.7 stars on 10 Reviews. 160 pages. ASIN: B01IAC3C9U. *Mermaids and Gems: Underwater Model and Nature Photography by Sergei Tokmakov. Price: Free. Genre: Philippines, Travel, Nature & Wildlife, Southeast, Photographers, A-Z. Rated: 5 stars on 5 Reviews. 118 pages. ASIN: B01KC5OGX4. *Travel: The Ultimate Budget Travel Guide on How to Travel the World with Less Than $30 A Day While Exploring Amazing Places on Earth! (Becoming a Digital … Travel Smarter and Longer 365 Days a Year) by Shea Hendricks. Price: Free. Genre: Tips, Budget Travel, Travel, Reference, General. Rated: 4.6 stars on 26 Reviews. 40 pages. ASIN: B01KGAVMLY. Travel around the World: Big Travel & Small Budget – Why It’s Cheaper Than You Think (50 Proven Tricks) (travel books, travel guide, cheap travel, travel for free, how to travel) by Mark Wayfarer. Price: Free. Genre: Travel, Specialty Travel, Budget Travel. Rated: 5 stars on 4 Reviews. 52 pages. ASIN: B01J17GCW2. Posted on August 17, 2016 Author KibetCategories Budget, Free Travel Kindle BooksLeave a comment on 5 Inspirational Travel Books for Wednesday! *WILD ROOTS: Coming Alive in the French Amazon by Donna Mulvenna. Price: Free. Genre: Nonfiction, Sponsor, Memoirs, Travel, South America, Amazon Rainforests, Ecology, Nature. Rated: 4.7 stars on 10 Reviews. 160 pages. ASIN: B01IAC3C9U. **Must See Places Of The World by Speedy Publishing. Price: Free. Genre: Travel, Australia & Oceania, Europe, Reference, Africa, China, India, Russia, France, Great Britain, Italy, Mexico, South America, Middle East. Rated: 4.4 stars on 104 Reviews. 50 pages. ASIN: B00RVZLT0M. Posted on August 16, 2016 Author KibetCategories memoirLeave a comment on Kindle Travel Deals for Tuesday!